Compared to the other states that come first in the alphabet, Arizona is a much better state for poker players. There are more than 20 casinos with poker action, players can play from home provided that they follow the rules, and despite there being laws against gambling on certain activities online, it's still possible for players from Arizona to find and sign-up to online poker sites. 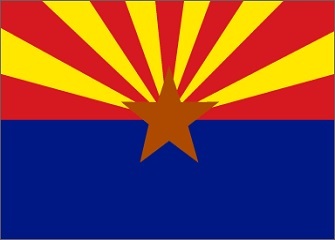 There are no laws stating whether or not online poker is legal or illegal in Arizona. However, Arizona does have laws against benefiting from gambling. "Except for amusement or regulated gambling, a person commits benefiting from gambling if he knowingly obtains any benefit from gambling." It's hard to say whether or not winning money from online poker is for amusement or benefit. However, considering that the law prevents the state and Indian casinos from establishing their own internet gaming, and people from betting on horses online, I would lean more towards online poker not being ok than being ok.
That said, no one has been arrested for online poker or gambling to the best of our knowledge. And poker players in Arizona are still able to find and sign-up to poker sites online. The best piece of advice I can give you is to tread with caution, and if you intend on playing seriously for large sums of money, you should seek legal advice first. What About Home Poker Games in Arizona? Home poker games are ok as long as no house profit or rake is collected. That means the only money that can be made is from the game itself. To play in a home game in Arizona you need to be 21, too. Keep in mind that’s something you're responsible for if you're running a home game, too. So it might be worth your time to card younger looking players. Do Casinos in Arizona Offer Poker? Absolutely. Arizona is home to an abundance of casinos. One worth noting is Casino Arizona, which features over 45 card tables with a wide variety of poker options including 5 card stud, Texas holdem and Omaha. However, Arizona has rules regarding how much you can bet. The maximum bet is limited to $150. That means that you won't find no limit games. Instead, you'll find spread limit games where the spread ranges from the big blind to $150. We get a lot of questions about legal Arizona poker, what's ok and what's not. I thought it'd be beneficial to everyone if I were to post those questions and our answers here for everyone to read. Will online poker be regulated in Arizona? Arizona has no current laws on the docket addressed to online poker. There aren’t any proposed for the future as far as we know. Arizona law has said that online gambling is ok so long as it's done for entertainment purposes only. The house cannot have an edge and players cannot be separated from their money by lure of prizes. It's hard to say if that means that Arizona players can play for real money, or if they have to stick to play money games. What other forms of regulated gambling is legal in Arizona? Where can I read more about Arizona poker laws? The last link is a PDF file which requires you to have Adobe Acrobat or Reader to open and read it. Here are some fun facts about Arizona poker and gambling. Fantasy Football is illegal if wagers are placed. ESPN allows residents of Arizona to purchase and play in Premium Leagues, but those residents are not eligible to win any prizes. The Bird Cage Theater, located in Tombstone Arizona, was an old theater, saloon, gambling parlor, and brothel. It is said to have hosted the longest poker game in history which lasted 24 hours a day for 8 years. In late 2010 the DOJ targeted Arizona's Goldwater Bank, a payment processor for U.S.-facing poker sites. According to the DOJ, Goldwater Bank acted as a client for Allied Wallet, a company who directly processed transactions for PokerStars and Full Tilt Poker. Ultimately, the bank forfeited $750,000 to the DOJ in a blow to Arizona online poker. Apparently you can recover lost property that was wagered and lost by your servant. Considering the use of the word "servant," I can't imagine anyone has had to do this in recent years. Interesting nonetheless.